FreeNAS is the world’s most popular open source storage OS, and one of the more popular questions I get asked is, “How do I run FreeNAS as a VM?” Due to the number of caveats required to answer that question, I would typically short-circuit the conversation by recommending against it, or only recommend it for test environments since the prerequisite knowledge required to “do it right” can’t be passed on quickly. Somehow over time, this message morphed into a general consensus that “you cannot (or shouldn’t) virtualize FreeNAS at all under any circumstances”, which wasn’t my intention. So, I’m here to set the record straight once and for all: You absolutely can virtualize FreeNAS. Whether you are test driving the functionality of FreeNAS, testing an upgrade for compatibility in your environment, or you want to insulate your FreeNAS system from hardware faults, virtualization can provide many well understood benefits. That said, while FreeNAS can and will run as a virtual machine, it’s definitely not ideal for every use case. 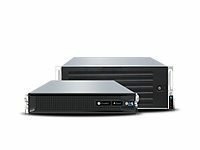 If you do choose to run FreeNAS under virtualization, there are some caveats and precautions that must be considered and implemented. In this post I’ll describe what they are so that you can make well-informed choices. If best practices and recommendations for running FreeNAS under virtualization are followed, FreeNAS and virtualization can be smooth sailing. However, failure to adhere to the recommendations and best practices below can result in catastrophic loss of your ZFS pool (and/or data) without warning. Please read through them and take heed. Ok, phew. Now that that’s over with, let’s get started. When developing FreeNAS we run it as a VM. Our virtualization platform of choice is VMware, and it’s the platform in which the FreeNAS developers have the most experience. FreeNAS includes VMware tools as well. Our second choice for a virtualization platform is CItrix XenServer. FreeNAS has no tools built in for XenServer, but you get a solid virtualization experience nonetheless. Other hypervisors such as bhyve, KVM, and Hyper-V also work, but the development team does not use them on a daily basis. ZFS combines the roles of RAID controller, Volume Manager, and file system, and since it’s all three in one, it wants direct access to your disks in order to work properly. The closer you can get ZFS to your storage hardware, the happier ZFS is, and the better it can do its job of keeping your data safe. 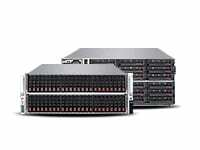 Things like native virtual disks or virtual disks on RAID controllers insulate ZFS from the disks, and therefore should be avoided whenever possible. 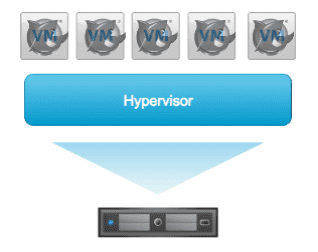 Using a hypervisor, you typically have a disk on a RAID controller presented to a hypervisor which creates a datastore with a disk on it running FreeNAS. This places two layers between ZFS and the physical disks which warrants taking the following precautions. If you are not using PCI passthrough (more on that below), then you must disable the scrub tasks in ZFS. The hardware can “lie” to ZFS so a scrub can do more damage than good, possibly even permanently destroying your zpool. 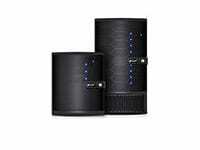 The second precaution is to disable any write caching that is happening on the SAN, NAS, or RAID controller itself. A write cache can easily confuse ZFS about what has or has not been written to disk. This confusion can result in catastrophic pool failures. Using a single disk leaves you vulnerable to pool metadata corruption which could cause the loss of the pool. To avoid this, you need a minimum of three vdevs, either striped or in a RAIDZ configuration. Since ZFS pool metadata is mirrored between three vdevs if they are available, using a minimum of three vdevs to build your pool is safer than a single vdev. Ideally vdevs that have their own redundancy are preferred. Is this a production or non-production FreeNAS application? The answer to this question has significant implications to the subsequent recommended practices. If your use case is a test lab, science experiment, pre-upgrade checks of a new version, or any other situation where real data that you care about isn’t at stake, go ahead and virtualize. Create a VM with 8GB of RAM, two vCPUs, a 16GB install disk, and a single data disk of whatever size is appropriate for your testing, and go to town. This is where things get serious. If you’re using FreeNAS in an application that’s relied on for daily operations, this is considered a “Production Environment”, and additional precautions must be followed closely to avoid downtime or data loss. To use PCI passthrough, you need to use a host bus adapter (HBA) supported by FreeNAS (we recommend LSI controllers of the 2008 chipset variety, which are 6Gb/s and well supported in FreeNAS) as a PCI passthrough device that is connected directly to your FreeNAS VM. The FreeNAS VM then has direct access to the disks. Make sure to adhere to the guidelines on using PCI passthrough. If you use PCI passthrough, it is as if you aren’t virtualizing at all so you’ll be safe to use FreeNAS in a production scenario. In this configuration, ZFS will be unable to repair data corruption but it will be resilient against pool corruption caused by damage to critical pool data structures causing loss of the entire pool. If you are using a SAN/NAS to provision the vDisk space, then three striped 1TB drives will require 3TB of external LUN usable space. In this configuration, ZFS will repair data corruption. However, you will waste an additional virtual disk worth (or two if RAIDZ2 is used) of space since the external storage array protects the LUN and RAIDZ creates parity to protect each vDisk. If you are using a SAN/NAS to provision the vDisk space, then three RAIDZ1 1TB drives will require 4.5TB of external LUN usable space. With striping, you’ll be required to provision 3TB of space from the SAN/NAS storage array to get 3TB of usable space. If you use RAIDZ protection, it will use one of the virtual disks for parity, and you will be required to provision 4.5 TB of space from the SAN/NAS storage array to get 3TB of usable space. Depending on the $/GB for your SAN/NAS this additional 1,500 GB can get quite expensive. Single disk: Vulnerable to pool metadata corruption, which could cause the loss of the pool. Can detect — but cannot repair — user data corruption. Three or more virtual disks striped (even if they are from the same datastore! ): Resilient against pool corruption. Can detect — but cannot repair — corrupted data in the pool. Depending on what backs the vDisks you may be able to survive a physical disk failure, but it is unlikely that the pool will survive. Three or more virtual disks in RAIDZ: Can detect and repair data corruption in the pool, assuming the underlying datastore and/or disks are functional enough to permit repairing by ZFS’ self-healing technology. Never ever run a scrub from FreeNAS when a patrol read, consistency check, or any other sort of underlying volume repair operation, such as a rebuild, is in progress. Search the FreeNAS Manual for your version of FreeNAS. Most questions are already answered in the documentation. Before you ask for help on a virtualization issue, always search the forums first. Your specific issue may have already been resolved. If using a web search engine, include the term “FreeNAS” and your version number. As an open source community, FreeNAS relies on the input and expertise of its users to help improve it. Take some time to assist the community; your contributions benefit everyone who uses FreeNAS. To sum up: virtualizing FreeNAS is great—the engineering organization and I have used it that way for many years, and we have several VMs running in production at iXsystems. I attempted to provide accurate and helpful advice in this post and as long as you follow my guidance, your system should work fine. If not, feel free to let me know. I’d love to hear from you. So this means that Atom 2758 based motherboards are a bad choice since they lack VT-d. Darn. Unfortunately, yes, and it takes a pretty advanced user to notice this. Kudos! Atom has been garbage since its release, IMO. It’s so doggy, even for a netbook–let alone a server! I say stick with real processors that were designed and purpose built for servers: Intel Xeon or AMD Opteron, nothing else. That’s just my 2 cents. It’s good to finally see an official statement regarding this! Thanks for posting that, Josh. Glad to see FreeNAS under a VM is finally official! I have a 9.3 server doing weekly scrubs without using PCI pass-through (zpool is on vmdks) without issues so far, what are the problems or causes you’ve found that lead to your recommendation to disabling scrubbing? Are vmdks not able to keep up? Will xen-tools be included in any future builds of FreeNAS? As much as I’ve been flamed on the forums historically for saying that it works just fine and there are no issues if designed correctly, it’s nice to see an official stance on the subject. More of a chicken and egg scenario I have is do you run jails while virtualizing FreeNAS or just other VM’s to accomplish other services…nested-vm overhead that’s click-click done vs manual patching but possibly better performance. I suspect the virtualisation solutions of ESX and BSD jails to be plenty efficient for nesting, unless you’re talking about performance intensive tasks running in your jails. Either way, I’d suggest taking the path of least resistance initially. Optimise performance when you have performance problems, never before. So what I’m reading is that I can decommission my old ATOM processor that I’m using for FreeNAS, and spin up a VM in my XenServer? I know that when I read this article it talks about home labs and ‘testing’ things out, but what about if I just want to use this as an every day home file server, that at most deals with TimeMachine backups? FreeNAS is still considered a bare-metal OS with virtualization only being suggested for testing and demonstrations. However, “Yes, You Can Virtualize FreeNAS” and your mileage may vary. Do feel free to share your findings on XenServer. 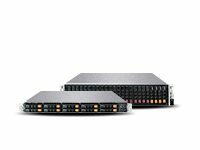 Is it possible to install FreeNAS as VM in vSphere and share the volume via iSCSI? I’d like to use it for a nested lab. Many people test FreeNAS under VMware and you should have no problems with this as long as you take the article’s advice into consideration. I don’t want an extra RAID card to run FreeNAS on a VM. 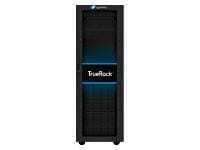 Can I do it without it, and can FreeNAS work as normal? You never want to use a RAID card with FreeNAS unless explicitly in JBOD mode. If referring to passing through a HBA, your VM host may support the individual passing of drives through but “virtual” disks are not recommended for production use. They are quite useful for testing and demonstrations. Any chance of basic Hyper-V support (just network drivers would be idea to start with). Windows Server Hyper-V is free and a pretty good alternative to VMWare. FreeNAS 9.2.1 had reasonable Hyper-V support but one is generally discouraged from virtualizing FreeNAS. What issues are you experiencing under Hyper-V? I have (against all online/forum wisdom) been using FreeNAS ZFS under VMWare for +3 years now on a Dell T320 8 bay. I can attest to the best practice recommendations above, and also caution against less than 8GB RAM and RAID controllers for all the reasons mentioned above. But that doesn’t mean it won’t work. I have broken every rule above and found that a Virtualized FreeNAS ZFS is more reliable than most other alternatives. FreeNAS has been one of the best things for Virtualization since the baremetal Hypervisor. I use ZFS for photography archiving (along with separate backups), and so far, ZFS has been the most stable storage setup I’ve had over the last ten years (including the extra external backups, go figure). If I had to choose today, I would get another T320 8 or 18 bay and have FreeNAS run baremetal. As a VM, I would not hesitate to run it even two levels removed from the hardware. BTW, I did have HDD failures over the years, and hot swapped out a drive on the PERC and FreeNAS handled it flawlessly. Still I wouldn’t recommend any of that without first having a good backup. Double check and make sure you aren’t missing any guest additions. 1) If I disable the host controller cache, then the random R/W speed drops from 1GB/s to 10-20MB/s, which is a significant reduction in performance. Since we need to keep the speed up to 1GB/s, keeping the controller cache enabled is desirable. What downsides do you see with the controller cache? From what I can tell, it will keep any data safe, even through power failure using the FBWC. I don’t see how this can “hurt” in any way. Please elaborate. 2) I plan to have a set of 1Tb vDisks presented to the FreeNAS VM. These vDisks will come from ESXi datastores, which are flushed when the ESXi server shuts down. The UPS powerware software first commands the VM’s to perform a clean shutdown, followed by ESXi, and then the host. A crash of ESXi is much less likely than a crash of FreeNAS, so im not worried about the underlying HW. Im assuming I just create a ZFS pool using the set of 1Tb vDisks from ESXi? 3) How can I attach the QLE2562 8GB FC controllers directly to the VM to allow them to be used to export the target luns I create on FreeNAS. I think this has something to do with passthrough mode, but I don’t know how to set that up. Can you clarify how that’s done? This would be a better question for the forums. It would be really hard to respond to so much technical detail here. Give the forums a try! I don’t understand this precaution. Can you explain? I have two virtualized FreeNAS systems, both with a pool comprised of a single RAIDZ2 vdev (7 disks in one server, 4 disks in the other). Are you saying that my FreeNAS metadata is somehow at risk, despite having the capability of losing 2 drives from each pool without losing the pool’s data? Awesome! I’ve been wanting to use FreeNAS in a VM for ages but so many people saying it will end the world etc. The only reasoning I could see was the fact they couldn’t see a way of reporting SMART to FreeNAS. But of course for quite some time you have been able to give the guest DirectIO on a PCI HBA, so I never fully understood the issue. Also you can pass SMART over by other means too. But DirectIO is of course the best way for FreeNAS to be left to it’s own management. I absolutely can’t wait for FreeNAS 10 to come out of beta because it looks like a game changer just buy measure of the GUI! 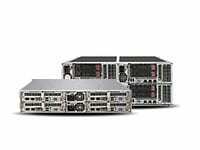 – i have Xeon V5 1230, Supermicro X11SSH-LN4F-O with 16GB ecc. As i will not have so much of data at the beginnign i would like to use other VMs too for some other test purposes. Please be kind/not to strong to help me to understand – i should be HBA to make work the ESXi with FreeNAS vm well? I cannot i use present motherboards sata connection to work properly in combination of ESXi, raid, ZFS… here i am lost as i i know hardware raid is not advised, but for ESXi installation this is something very important? This seems like a good question for the FreeNAS forums! I got a Dell R320 with a PERC H710 from work and I have ESXi installed with a few Windows VMs on it. 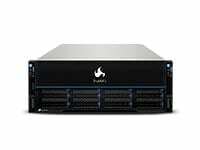 I want to use FreeNAS to house 7 drives to store Plex Media and other files to share across my network. Aside from setting the PERC card to HBA and doing a PCI passthrough for the drives, is there anything else that needs to be configured? Please post this question on the FreeNAS forums!